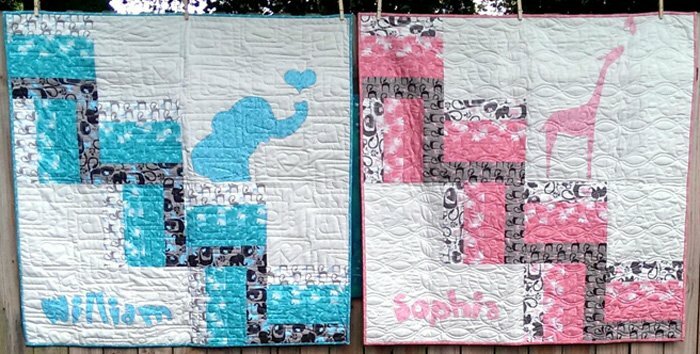 Need a quilt, easy baby quilt? Here you go! The applique is even super easy. The full alphabet is included and it's mirror imaged to make prepping for machine applique easy. Finished quilt measures 40in x 40in.